This entry was posted on January 12, 2016 by admin. 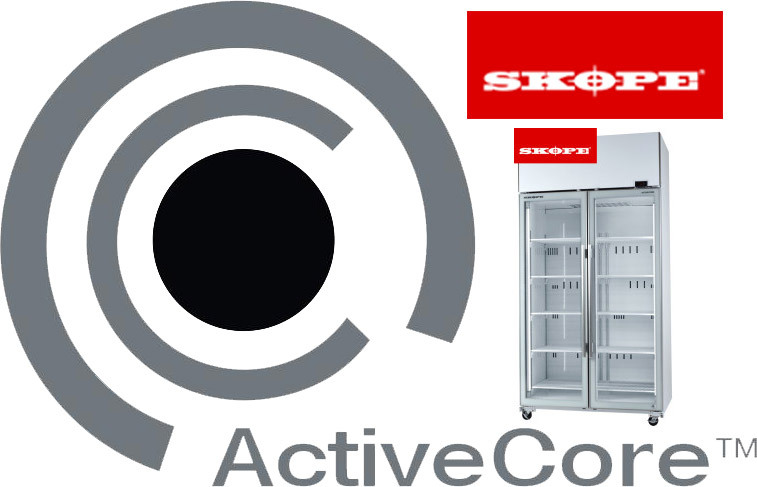 SKOPE has recently launched their latest advancement in refrigeration; ActiveCore™ Technology. The new models feature a more modern sleek frameless aesthetic design and are promising to deliver market leading energy savings along with new features that guarantee optimal performance, efficiency and reliability. SIGNIFICANT ENERGY SAVINGS. The new TME1000-A uses 55% less energy than the previous TME1000-H model, saving $616 per year. PERFORMANCE – Optimal airflow and cooling performance reduces temperature variations and energy consumption. SURFACE TECHNOLOGY INNOVATION – Premium energy efficient glass using a new low-emissivity, high performance coating technology, ideal for high humidity environments. REDUCED OPERATION NOISE– Significantly reduced noise and improved quality so you can enjoy a quieter operation noise. EZI-CLIP SHELF DESIGN – Patented easy to install shelf clip and numbered shelf support strip has been included to reduce set up time and enable finer shelf adjustments. MAINTENANCE – The ActiveCore unit is much quicker and easier to service minimising downtime. MAXIMUM COOLING – New slotted back panel design enabling chilled airflow to be pushed directly on the product. PLUG & PLAY – Updated controller with manual light switch and pre-programmed features. INNOVATION – Revolutionary ActiveCore refrigeration system has been fully redesigned with energy efficiency and the future at the forefront of mind. SKOPE's revolutionary new ActiveCore™ technology is a major leap forward for the industry, according to SKOPE founder, Sir Robert Stewart. 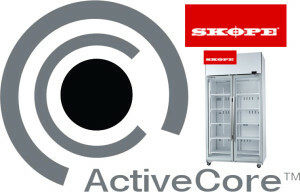 SKOPE have developed each and every component of the ActiveCore™ unit with optimal levels of energy efficiency in mind. ActiveCore™ technology was designed to reduce energy costs for the customer; providing users with a quicker rate of return, significantly reducing running costs compared to some major competitors by over $1000 per year. To find out more about how the new Skope ActiveCore range can deliver you significant energy savings and reduce your running costs, contact us today on 1 300 733 715. Browse our in-stock range of SKOPE products here.